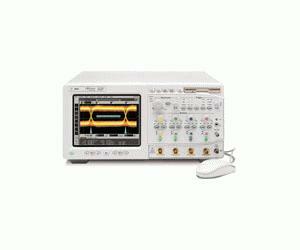 The Agilent 54846A provides the performance you need for your most demanding signals. 2.25 GHz bandwidth and a sample rate of up to 8 GSa/s ensure fast, accurate capture of your waveforms. Like the other Infiniium models, the Agilent 54846A easy, familiar user interface makes it easy to take advantage of every bit of the performance inside.